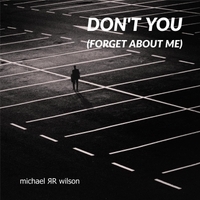 This is an acoustic driven and soulful cover of the popular 80's Simple Minds hit song Don't You (Forget About Me) from "The Breakfast Club" movie soundtrack. IT'S HARD NOT TO DANCE TO !!! Don't You (Forget About Me) is my first acoustic cover and it was a blast to do !! !